Latest news from air cool engineering (NI) Ltd: Still on the fence about the ECODAN air source heat pump? 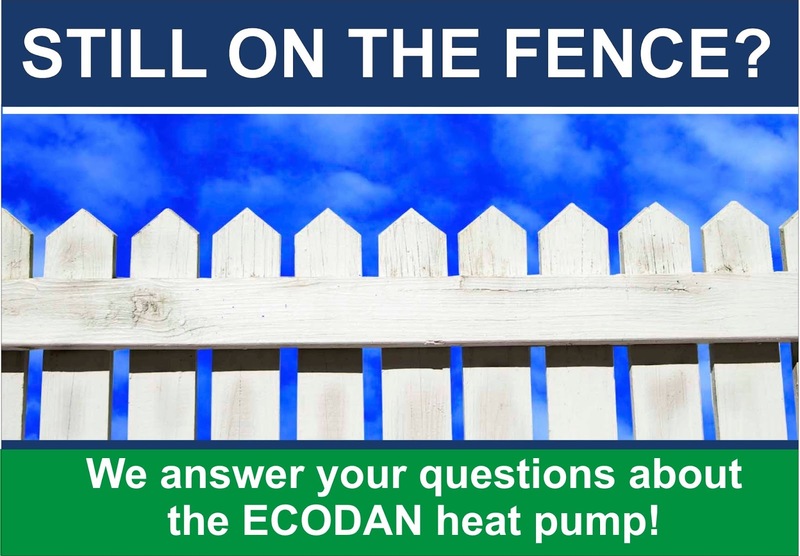 Still on the fence about the ECODAN air source heat pump? There are many benefits to installing an air source heat pump. You can reduce your running costs, decrease your reliance on finite fossil fuels and enjoy the ease and comfort of a highly sophisticated, intelligent, clean and reliable heating system. Although air source heat pumps are still seen as a relatively new technology in the UK, their popularity is gathering momentum, with 33,651 MCS accredited installations since 2009 (making them the leading renewable heating technology) Source: Microgeneration Certification Scheme Newsletter February 2015. 1. How is it possible to generate heat without burning oil, gas, wood or coal? With over 70% of homes in N. Ireland reliant on fossil fuels to heat and provide hot water for their properties, it is difficult to see how it's impossible to have heat without fire! Although relatively new to the NI domestic market, air source heat pump technology has been around in Europe (especially Scandinavia) for decades. Compression – Refrigerant vapour is raised in pressure and therefore temperature. Condensing – This hot pressurised refrigerant vapour is then passed through a condenser, where it liquefies and gives off useable heat that can be delivered to a building by either air or water. Expansion – Liquid refrigerant is then allowed to expand, which lowers its pressure. Evaporation – The low pressure liquid then expands and absorbs naturally occurring heat from the environment (this can be from the air, water or ground) and in doing so changes back to a vapour, which is then passed to the compressor for the cycle to start again. 2. Do air source heat pumps work when it’s really cold? The good news for N.Ireland especially those of us living in rural off-the-gas-grid areas, is that even at -5oC (which sounds very cold to us! ), there is still plenty of energy in the air for the heat pump to convert. In extreme conditions, Mitsubishi Electric’s award winning ECODAN can operate effectively, even when outdoor temperatures range between a very chilly -15oC and baltic -25oC. FACT: air source heat pumps do work efficiently even in cold weather, making them the ideal heating solution for rural off-the-gas-grid areas! 3. Are air source heat pumps as efficient as ground source heat pumps? 4. I live by the sea, would the heat pump rust? 5. Are air source heat pumps really noisy? Mitsubishi Electric's ECODAN heat pumps have been awarded the Quiet Mark by the Noise Abatement Society. We would describe the sound of an ECODAN heat pump as a smooth “whoosh” as the air flows through the fans. To minimise disturbance, air cool engineering (NI) Ltd will always carefully consider the ideal location for your heat pump - avoiding bedroom windows and even patio areas. 6. If I choose an air source heat pump, will I need a back-up heating system? If a heat pump has been designed to MCS standards and installed by an accredited and experienced installer, then the system will be able to meet all of the heating requirements of your property. Heat pumps can produce 100% of the heating and hot water demand for the property - but that does not mean you cannot have single room heaters such as a log burning stove or open fire in your home. A highly sophisticated and intelligent technology, ECODAN will monitor both the outside and inside temperature of each individual room. If the system detects that a room is already at the desired temperature (because there is a log burner for example), then it will not produce heat for that room. This is why the ECODAN heat pump is so efficient. It will intelligently heat your home; saving energy and reducing running costs. 7. How much does it cost to install the ECODAN air source heat pump? air cool engineering (NI) Ltd is currently quoting between £7,000 and £9,000 - this includes the design, installation and commissioning of the outdoor ECODAN unit and the pre-plumbed cylinder. We prepare a complete room by room heat loss calculation to determine the correct size of heat pump for your property. 8. 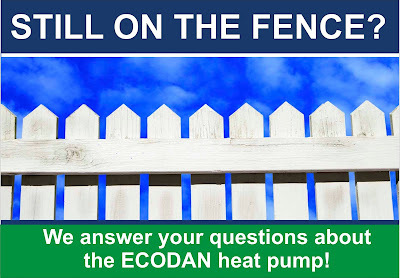 How much does it cost to run the ECODAN heat pump? Running costs will vary depending on a number of factors including the size of your home, how well insulated it is and what room temperatures you are aiming to achieve. When carrying out a detailed room by room heat loss calculation, Mitsubishi Electric's calculating tool can demonstrate estimated running costs. A recent Mitsubishi Electric calculation on a 2600 sqft house, estimated the annual running costs at £1,225. This was for constant heating and hot water. From experience, the ECODAN is performing beyond client expectations. One household has actively monitored the amount of electricity used to power the heat pump, for their 3,000 sqft home. Initially estimated at £1,700/yr, the family are on track to achieve impressive running costs of around £1,000. Their ECODAN provides 100% space heating and constant hot water. 9. What makes the ECODAN heat pump 'stand out' from others? PLUS - as air cool engineering (NI) Ltd is an approved ECODAN and certified MCS installer, you can be assured your investment in the UK's fastest growing renewable heating technology, is in safe hands. If you would like to ask more air source heat pump questions, please call air cool engineering (NI) Ltd on 028 777 67114. To see the ECODAN in action, our purpose-built offices have a system fully operational for you to get your 'hands-on' and experience yourself, how effective the system really is. Alternatively, for a FREE no obligation quotation, please email your house plans here.